Rycobel has successfully completed a Lansmont vibration table. The vibration table of approx. 3,000 kg was delivered and installed at the customer site. As well as the installation of the vibration table, the electrical connection and the implementation of the test software was performed by Rycobels service engineers. The applications of this instrument are very extensive. Both small and large pallets can be tested. The system is equipped with heavy hydraulic actuators that can generate vibration frequencies from 3 to 100 Hz. Other models can even perform vibration frequencies up to 1000Hz. 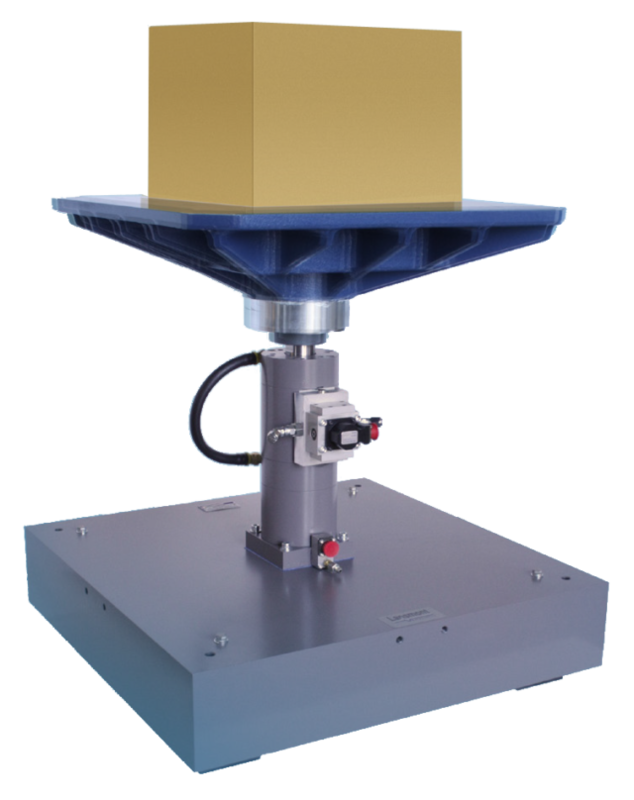 The Lansmont vibration table is controlled with the 'Touchtest'-vibration control system. TouchTest Vibration is a powerful computer-based machine control, data acquisition and data analysis system.